I recently wrote a post about my favourite cocktail of the moment, a Bees’ Knees. But there’s another, more classic drink with a similar flavour balance – rich, sweet and sour – that deserves a place in this blog. Whisky sour is up there with the great cocktails, and if you’re partial to shaking one up, as I am, this is the drink to get started with. Like any classic, there are numerous reinventions and variations on the theme – is yours a Bourbon or Scotch? Do you serve it with an orange slice? With or without egg white? In a Martini glass or tumbler? Personally, I’m a Scotch girl, I find Bourbon is much too sweet and better suited to an Old Fashioned, but you can add a little spice with a dash of Angostura Bitters. An orange slice is just over-guilding the lily, yet a plump Maraschino cherry, leaking its sweetness and plum colour in the bottom of the glass, is a must. And egg white – well, if I had to do without, I would, but the frothy smoothness adds the ultimate, creamy finish. There is one other element to consider though, one that is often overlooked and can ruin or make a good cocktail. It is the ice. 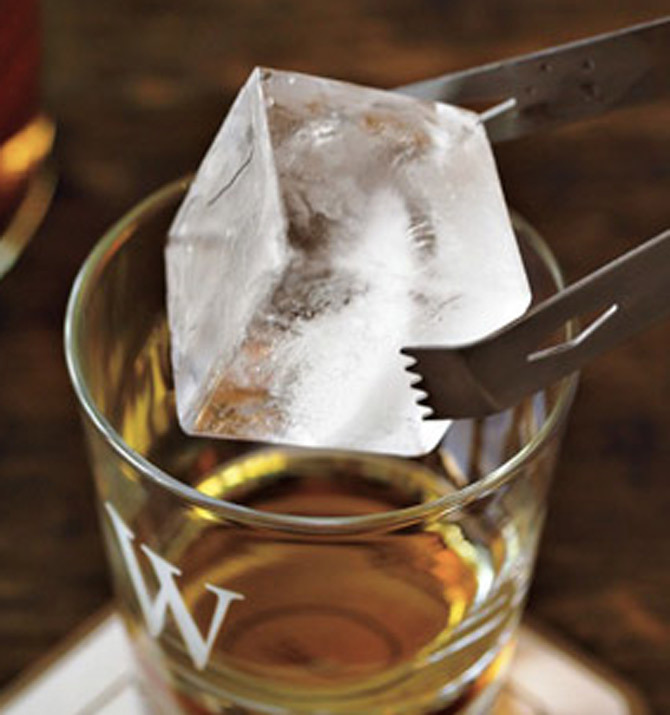 It’s essential to serve a Whiskey Sour (and indeed all cocktails) perfectly chilled. But the first sip should be as good as the last and if your ice cubes are rapidly melting into the drink, diluting that careful flavour balance and adding the unwanted taste of chlorinated tap water, you’re really missing the point. At Quo Vadis in Soho, they have a special ice machine which produces huge frozen blocks from which they carve chunks large enough to almost fill the glass and which remain frozen during hours of sipping. Not owning a bar myself, or being able to justify the expense of such a luxury piece of equipment, (most professional ice makers will set you back up to £1000), I searched around for the next best alternative. 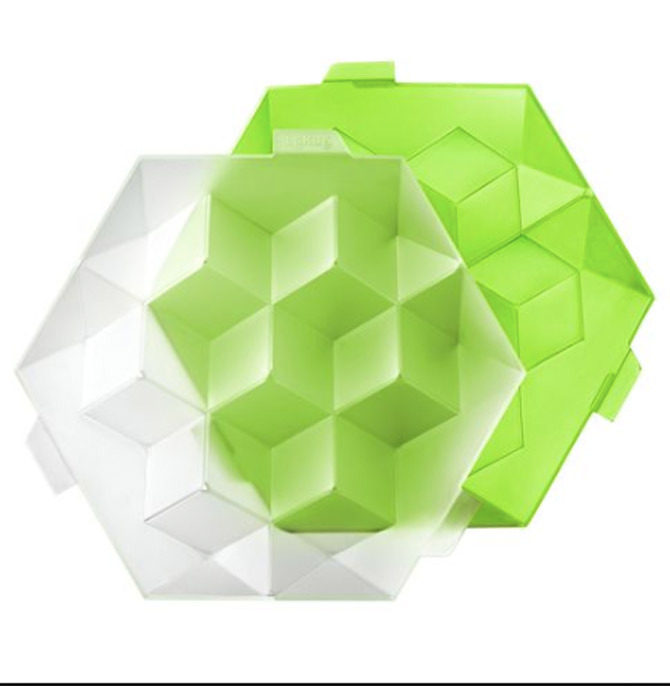 The Conran shop sells giant ice trays which make perfect cubes of ice. Just one is large enough to fill a glass (or two for a highball). I’ve since discovered you can also buy them through Amazon (like most things). Another alternative is the ice-sphere, a large round ball similar in size to the giant cube. Annoyingly, one mould will only produce four at most, so you’d have to buy several if you want to make more than a couple of drinks at once. Once you’ve gone to the trouble (and expense – these trays certainly cost more than the small ones), it’s essential you use filtered or pure water to fill them with. Like any other ingredient, ice takes on other odours of things around it, even when stored frozen (just think of what its freezer companions may be), so fill them fresh. These huge cubes look beautiful in the glass and they melt very slowly because of their size, but even if I’m not actually serving them in the drink (I prefer my whisky sour served without for instance), I use them in the cocktail shaker to chill the liquids fast, with minimal dilution. Ok, that’s enough of the science now. Here’s my recipe for Whisky Sour. Chill a couple of tumblers or your favourite cocktail glasses by filling them with an ice cube and some water. Put all the ingredients (except the cherries and fresh ice cubes) into a cocktail shaker and shake vigorously. The egg white will become light and foamy. Then add a couple of ice cubes and shake a few more times. Empty the ice and water from the glasses and dry any drips, put a cherry and a fresh ice cube in the bottom of each glass before straining the chilled cocktail over.